Mark McMahon, USPTA, is a certified Master Tennis Professional, a designation earned by less than 5% of all professionals. McMahon | 10s Founder and President, Mark McMahon is originally from Melbourne, Australia. Mark played tennis professionally before embarking on a career as a club professional. Recognized and awarded by his tennis industry peers, Mark has been acclaimed as an astute and insightful Search Consultant and Coach. Mark brings the discipline and dedication of being a world-class competitor and over 30 years of private club tennis excellence to every engagement. For every enegagemnt, Mark draws on a lifetime of experiences with a wide-range of clubs, clients, competitions and organizations. His experience includes being Director of Tennis at two of America's most distinguished private-club tennis programs clubs, Boca West Country Club (Boca Raton, FL) and Dunwoody Country Club (Atlanta, GA). Mark served for 9 years on the Board of Directors for USPTA and as president of the association’s Florida Division. He was a founding faculty member of CMAA's original Sports Management Education Program and a speaker for BMI 1 on Tennis Operations at Georgia State University. 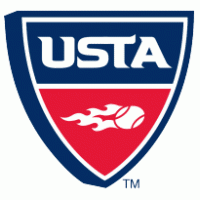 Mark's work also includes an extended consulting role for the United States Tennis Association. In recognition from his peers, McMahon received the USPTA Professional of the Year award and the USTA Facility of the Year award while Director of Tennis at Dunwoody Country Club. He received additional honors from the Georgia Professional Tennis Association for pro shop operations; charity tennis pro am tournaments and overall tennis program development and excellence. Mark has been published in multiple industry magazines and newsletters including CMAA's At Your Service and Tennis Magazine Australia. He has presented at the CMAA World Conference, IHRSA's annual convention, PTR World Symposium and USPTA World Conference on Tennis. His noted work also resulted in speaking engagements at club management and tennis conferences in Australia, Germany and Russia. 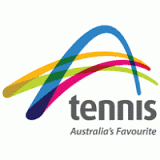 Before establishing his consultancy in 2008, Mark launched a new initiative on behalf of the United States Tennis Association which required the hiring, training and deployment of more than 60 new Tennis Service Representative Consultants who worked across the country in USTA's 17 geographic sections. If you would like more information about McMahon Tennis Search, or would like Mark to speak to your team, please complete the form below.